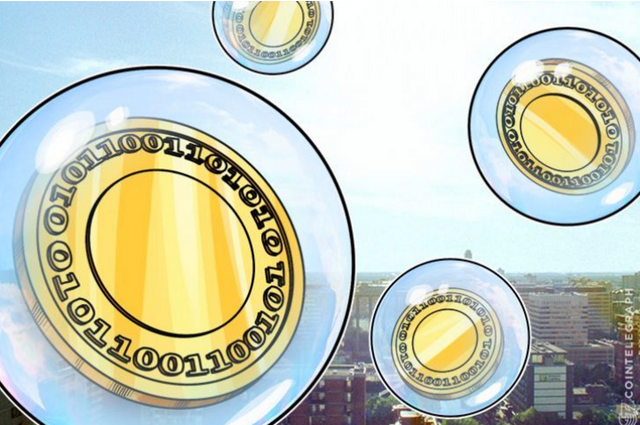 You might have seen news story with Billionare Mark Cuban saying, Bitcoin is in a bubble. Then goes on to say he invested in a sports digital currency. 1 thing to not is that a billionare is openly saying he is investing in cryptocurrency. It's not and Mark Cuban probably is trying to bring it down to buy some himself. People like him have expendable money so to throw few millions especially when Bitcoin crashes 30% makes really sense. Bitcoin is a World currency. We have More than 2 Billion people using Facebook actively every month. I can imagine 2 billion people using cryptocurrency in 10 years. Bitcoin isn't limited to people in US. It's a global currency and decentralized. 50 Billion is minuscule as a bucket of water in a swimming pool. It's like Every American owning $150 in bitcoin. And Bitcoin has only 26 million units in circulation. So I think Bitcoin at 100 Billion would still make sense, maybe not right now. But to say it's in a Bubble , in my opinion is wrong. This is when the rich guys are buying and holding. I agree with this. I've made several videos and posts about this same subject matter. Take a look at the market cap and then take a look at the worlds GDP. It's negligible. That's why I find it hard to believe we're in a large bubble. Obviously, we'll have some corrections along the way. That happens with anything. Good post. exactly! Bitcoin isn't limited to people in US. It's a global currency and decentralized. 50 Billion is minuscule as a bucket of water in a swimming pool. It's like Every American owning $150 in bitcoin. These billionaires don't give a crap about you. One day Mark Cuban is shitting on cryto and the next he's all for it. :/ He'll say whatever improves his bottom line even if it costs you a fortune. From what I have read, Cuban's thoughts on Bitcoin do not seem very consistent. Ah well, never too late to learn.